Many women come to us with the purpose of selling an engagement ring after a divorce - a task that we do not take lightly. We understand that this may be a very difficult time, and believe that all clients deserve worthy offers for a ring that is no longer meaningful or desirable. With the help of our team of experts, you are able to take advantage of the benefits provided by our unique luxury auction platform. We stand beside you throughout the process, attracting hundreds of professional buyers who have expressed direct interest in competing for engagement rings like the one you have to offer. We don’t just make it simple to sell your engagement ring after divorce, we go the extra mile to ensure that you receive the best possible value. In addition to listing it for sale on your behalf, we make sure your item is professionally graded at the world's top gemological labs, GIA and GSI. Before personally delivering the item to their labs, we take care of cleaning and photographing the diamond in high-definition to showcase it for auction. We even write a unique selling description designed to appeal to buyers watching the auction. From the beginning of this important process to its end, we fully commit ourselves to getting you more money for your ring while ensuring your security. Why Sell My Engagement Ring After Divorce? Drop the Karma, and Get More. This is a great question, and the answers vary from one person to the next. Oftentimes, people just want to get rid of their engagement rings, which serve as painful reminders of promises broken or a loss, opting to sell their rings rather than be subjected to the unpleasant memories they hold. Many people find that financial restructuring is often a necessity when a long-term relationship ends. You may feel compelled to sell your engagement ring after divorce in order to ease a financial burden or help get a new venture off the ground. Finally, you may want to sell your ring after divorce to make room in your life and heart for a new relationship. Letting go of the symbol of your past can allow you to release any emotional barriers that remain, opening the door to all the wonderful things life has in store for your future. The Experts at Worthy Can Help. 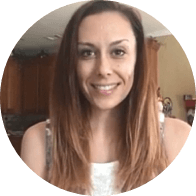 Whatever your reason for wanting to sell your engagement ring after divorce, you’ll find that Worthy takes the entire stressful, time-consuming process off your shoulders, provides the ultimate in convenience, and eliminates any guesswork. 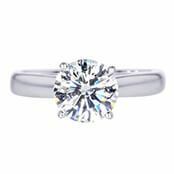 We sell engagement rings only to buyers who are willing to pay top dollar for the reliability and quality associated with Worthy, and our buyers are not permitted to back out after placing bids. Trust, transparency, and complete customer satisfaction are our most important values, which show in the GIA diamond grading and throughout the entire auction process. 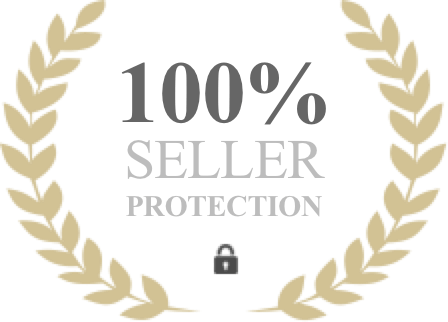 Worthy is highly accredited by the BBB and holds a Secondhand Dealer's License issued by the New York City Department of Consumer Affairs. Describe your diamond ring and upload a few photos of it. Based on the provided information, we’ll conduct a market value analysis, resulting in a trending market price. When your diamond ring arrives we will photograph it and have it professionally graded at the GIA laboratory located near our offices. The e-Diamond report and professional photos will be made available to you and the buyers interested in bidding on your diamond ring. Worthy’s evaluation process is unlike those found anywhere else. At no cost to you, we provide diamond grading that serves to enhance buyer trust and ensure that you receive the best possible value when selling your engagement ring after divorce. Because engagement rings are unique, we have partnered with the world's leader in diamond certification to provide the most accurate evaluation possible. With Worthy, you know that your transaction is being handled with expert care from start to finish. You also enjoy the peace of mind that comes with the knowledge that your valuables are fully insured while in transit and throughout storage in our headquarters. Click here to see what our customers have to say. 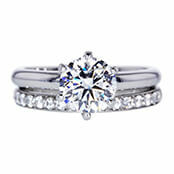 How do We Get You the Highest Offer When Selling Your Engagement ring? 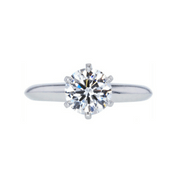 What Factors Can Affect the Value of Your Engagement Ring? 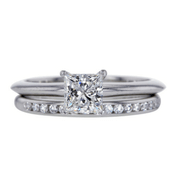 Those who are familiar with buying and selling engagement rings are familiar with factors that can affect their value. Most engagement rings are quite valuable, and Worthy helps you to extract as much value from your ring as possible by allowing those in the market to compete for it. 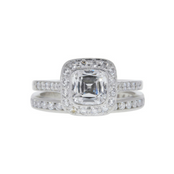 The factors below contribute to the market demand for an engagement ring. 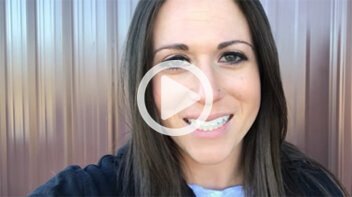 Selling an engagement ring is not always easy, nor is it the right choice for everyone. Some individuals decide to keep their engagement rings to either serve as a reminder to their past or to give to a loved one in the family later on. Others choose to refashion the diamond in a different setting - still enjoying the beauty of the diamond without the painful reminder. That being said, we have heard some great reasons from our own clients varying from "I just want to move on" to "I can use the money for something better, for me." We could not agree more and are happy to help, whatever your reason. We know that it may not be easy for you to sell your engagement ring after divorce, and we help by making the process go smoothly. Aside from the many emotional reasons for selling your ring, there are a few practical reasons to sell your engagement ring after divorce. For one you can transform an unwanted or unused engagement ring into cash. 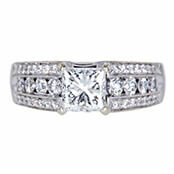 Quality engagement rings have recently sold for thousands of dollars. If you’d like to try to sell your engagement ring after divorce, you’ll most likely be astonished at the offers you receive with Worthy. Sell Engagement Ring Sell Wedding Ring Sell Wedding Ring After Divorce Sell Diamonds Sell Jewelry Sell Diamond Ring What to do with your engagement ring after divorce?